If you’re finding more strands of hair than usual on your pillowcase and in the shower drain, you may be wondering if anxiety is to blame. You’ve probably heard about a possible link between stress and hair loss, but is there any truth to that claim? Whether you’re feeling frazzled by work or are overwhelmed by emotional events such as divorce or a death in the family, it’s natural to feel concerned about how stress can affect your body. Here’s what you should know about stress and hair loss. Not only do stress and anxiety play a role in hair loss, they are also linked to the following three conditions that can trigger you to lose hair. This condition is a common cause of temporary hair. 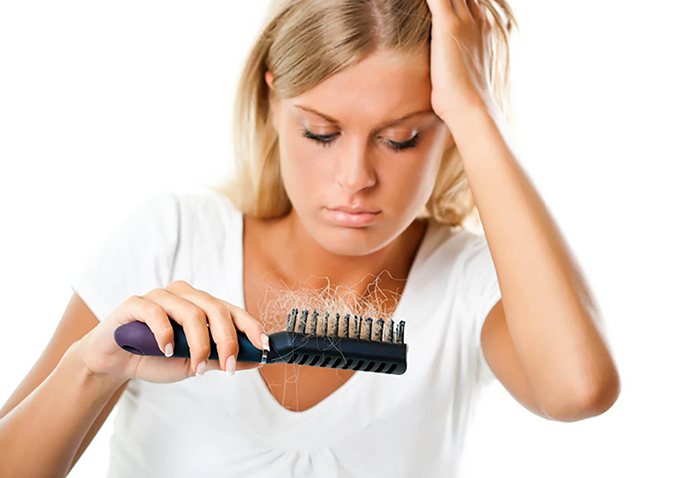 Stress can push hair follicles into a “resting” phase so that they don’t produce new hair strands. Over time, hair can fall out more easily, even if you’re just washing, combing, or touching it. Telogen effluvium also can be caused by poor nutrition and changes in hormone levels. If you’ve ever found yourself literally pulling out your hair when you’re stressed or tense, it could be a sign of trichotillomania. In this psychological condition, people deal with negative emotions, like stress and anxiety, by pulling hair from the scalp, face, and other parts of the body. It’s most commonly seen in teenage girls. In this condition, your body’s immune system attacks your hair follicles, causing your hair to fall out. In some cases, alopecia areata can just cause hair to thin, while in other cases people may develop bald spots. Hair can regrow over time, then fall out again. Doctors aren’t sure exactly what causes alopecia areata, though genetics may play a role. And although it’s not caused by stress, alopecia areata can be very stressful for any person dealing with this condition. Hair loss from stress doesn’t have to be permanent. If it continues, talk to a doctor about a prescription or over-the-counter remedy to spark hair regrowth.